We are a business solutions consulting firm focused on small, medium and non-profit businesses. We help organizations integrate social tools into your marketing and business communication systems to deliver results. Diverse works with our clients to create strategies aligned with your business goals. You’ll benefit from tools and processes that attract and close future brand advocates to loyal customers and passionate advocates. Your current customers will benefit from the focus on clarity and service. You’ve worked hard to earn your customers and to attract new prospects to the products and services you offer, now is the time to solidify those relationships for your long term viability and success. Your business has many potential competitors and though you may offer similar products or services, your business is still unique. The unique aspects that make you Diverse, are what we’ll help you identify! We’ll ensure you’re effectively telling your stories that you share with your prospects, stakeholders, influencers and customers. Your strategies will build from your unique stories to help separate you from the field and then we’ll apply proven tactics to communicate effectively. You can visit our services page to learn more about the solutions we offer, from training, content and online marketing consulting, community management, business intelligence and analysis. To help you in between meetings and to stay current on your efforts, the Diverse Messages blog will share relevant and timely information effecting your marketing, customer service, sales, information systems and more within your business. We hope you’ll pop over and subscribe to get timely information for your organization. 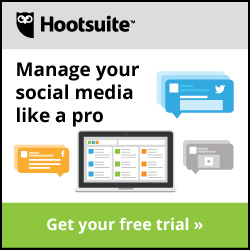 We're fans of and dedicated users of the Hootsuite Pro platform. The ability to connect and stay connected with others. Diverse Achievements is proud to be a Nimble Solutions Partner. We'll help you easily manage all of your contacts, activities, communications and sales all in one place. Learn more here.